Family Lawyer Barrie, Toronto & GTA – With Cross Border Expertise! Relationship breakdown and divorce is exceptionally difficult and traumatic for all parties involved, particularly in the case of long-lasting marriages. We understand that. This is why the experienced Family lawyers at Rogerson Law Group have a reputation for effectively but sympathetically guiding our clients through the legal complexities of divorce and financial matters. We serve our clients in GTA with two offices in Downtown Toronto (Bay Street) & Barrie. Sometimes, it is difficult to look ahead – particularly where property, financial arrangements and any children are concerned. Where there are cross-border issues, your case may be even more difficult for you to handle emotionally. This is why having clear and objective legal advice from a specialist family lawyer makes all the difference. Where necessary, we take a robust approach to achieve the best possible outcome for clients in the most efficient way possible. In many cases, we are able to negotiate effective settlements on behalf of our clients. The fastest, most cost-effective way to resolve family disputes for our family lawyers is through a negotiated settlement. We will strive to negotiate a settlement on your behalf in situations where family property or matrimonial assets need to be divided. We will advocate tenaciously on your behalf to achieve the best resolution possible for you. Where court proceedings become necessary, our family lawyers will represent you and guide you through each stage of the court process. Assets abroad? Our Cross-Border Family Lawyers can help! We specialize in High Net Worth and Cross-Border matters. We also assist in cases where property or assets are located in another province or country. Joseph is a very experienced Divorce Lawyer with expertise in child support, child custody issues and frequently advises clients where there are assets and/or individuals located in other jurisdictions. He works with clients, lawyers and other parties both in the United States and overseas (including Bermuda, Turks & Caicos Islands, Europe and the UK). Domestic contracts – Marriage Contracts, Prenuptial Agreements and Separation Agreements & more. Our family lawyers provide comprehensive advice and representation on Domestic Contracts. A Domestic Contract is a legally binding written agreement setting out agreed terms, such as the rights and responsibilities that the parties will be bound by in specified circumstances. Domestic Contracts include Cohabitation Agreements, Marriage Contracts, Prenuptial Agreements and Separation Agreements. If you are thinking about cohabitating or getting married; or your relationship is breaking down – our family lawyers can advise you on the most appropriate terms of a Domestic Contract to best protect your interests. The law relating to financial entitlement and property division on the breakdown of a relationship is complex. However, our family lawyers have years of experience advising clients on these matters, and we have the expertise to advise you on the potential outcomes based on the facts of your case. Joseph has a formidable record in successfully negotiating settlements and achieving positive results for his clients. Where a solution can be found without the need for costly and lengthy litigation – we will find it for you. International marriages where the parties are from different countries are nothing unusual today. Where international marriages break down, the problems can become complex – particularly where any children are involved. The Hague Convention on the Civil Aspects of International Child Abduction is an international agreement used by lawyers to help protect children. 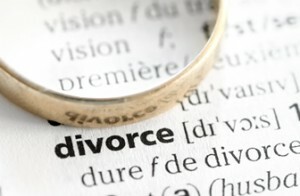 We are one of the best divorce lawyers in Barrie & Toronto. Contact us at (416) 504 2259 regarding your separation or divorce matters! Rogerson Law Group’s Toronto & Barrie Family Law Firm practice works with family law cases in the entire Greater Toronto Area including Toronto, Scarborough, Mississauga, Vaughan, Brampton, Richmond Hill, Etobicoke, and Barrie and surrounding areas with offices located in Downtown Toronto and Barrie.